Google has its own “Google’s Assistant”, Apple has “Siri” and Microsoft has the “Cortana” artificial intelligence. What’s your own personal assistant app called?. We’ve seen wonders in the past recent years, and everyday, a ton of smartphone company’s are envisioning the perfect way to make life easier. Recently a report circulated that Samsung are planning to develop an AI called Bixby and we’re to expect it on the upcoming Galaxy S8. The Nokia Incorporated won’t be exempted too when it comes to AI. Ever since Siri came out, the Android world has wanted something like it. Now there are dozens, and we’re going to unveil 5 of them. 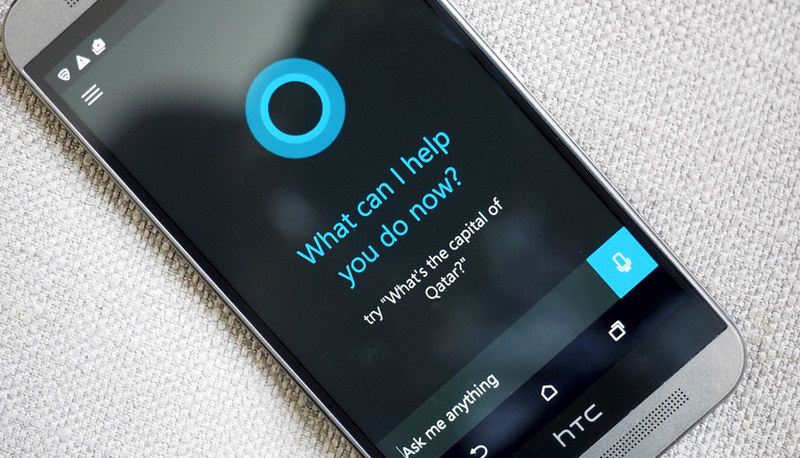 Also Read: How To Install and Use Microsoft Cortana For Android. Siri, Cortana, and the Google’s Assistant are digital voice assistant apps designed to help you perform various task on your respective operating system. You can be able to get news, weather reports, sports updates, and even search hands-free by using your voice. Personal assistant apps are known to work with native apps, for example when you’re in the Gallery app, and wanted to see pictures of dogs, you’d just ask this AI’s to show you pictures of dogs.The Google’s digital voice assistant app was already miles ahead of Apple’s Siri and Microsoft Cortana, and they’ve become an integral part of the Android ecosystem. But not to be disappointed, we’ve got better alternatives to Apple’s Siri and Microsoft’s Cortana personal assistant apps for Android. 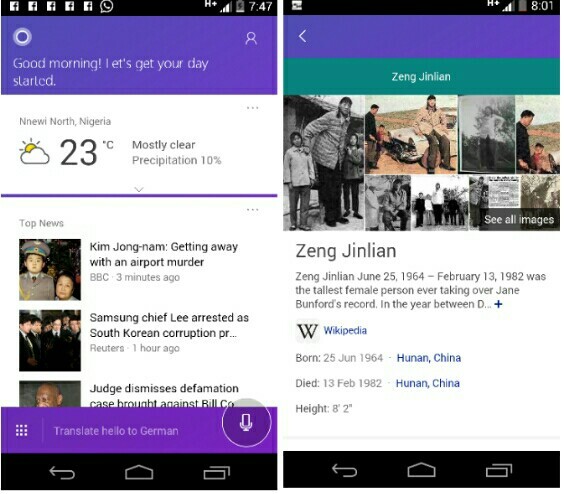 Google app is one of the most popular & personal voice assistant app for Android device. Having shown it’s strength for decades on the android platform, it’s no doubt the better challenge to Microsoft Cortana. The Google app is an artificial intelligence that can transform the way you search on the go, once you say the word “OK Google”, then you’ll be able to ask questions such as “What are good restaurants nearby”? Or “Where is my package”?. Google wil speak the answer aloud and also they will present accurate information to your questions. 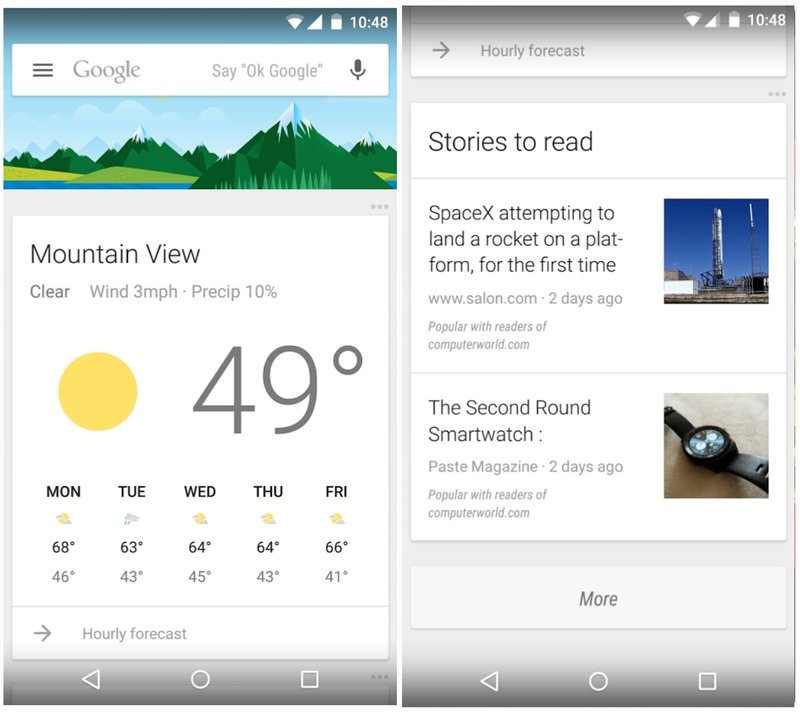 Also the Google app allows you to get updates on sports, weather, movies, news, events, and even search hands-free using your voice even when you’re offline. The more that you use the Google app, the better results you receive. Jarvis is another personal assistant app for Android that skyrockets and brings a cool factor like none other. Now prior to the name which reminds me of the iron man movie, Jarvis is the best alternative to Apple’s Siri. Obviously, Jarvis can be your personal assistant which keeps you informed on weather, news, calls & text messages. One cool stuff about Jarvis is that you can access it from your device’s lock screen with just a single tap. Jarvis can play songs by name, set reminder & alarm, change your phone’s background and even settings. This all, will require your voice only. Jarvis is dynamic when it comes to conversations. He has a variety of answers for variety of questions, some of his answers are outright funny and if he doesn’t know any, he makes sure to learns them over time. Hi, I am Cortana. Yes I know you’re, and I am Henry. Meet Cortana, your personal assistant that can help you to get things done accurately and stay on top of your commitments. She can remember things for you, such as when it is right time to go back home or to leave for a meeting. Cortana can send emails, make calls and open apps even while you are driving or walking on the road. There’s no need to type, so if you aren’t in the mood to type simply talk to her. Cortana allows you to get knowledge at your fingertips, you can find information on weather, news etc. & ask her questions such as “where can i find the best new restaurant nearby” and she will present the answer directly from Bing search engine. Microsoft’s Cortana can sing and also crack jokes, once you sync her on your PC and phone, then you will get missed call notification on your PC and you can reply the SMS too. Robin is another popular personal voice assistant app for Android, she can help you on the road, bringing you texting by voice, local information, GPS navigation and even jokes, while keeping your eyes on the road. It’s probably the alternative to Apple’s Siri, while on the road, Robin can give directions, parking and traffic, gas stations. It can also present weather, updates and can set reminders, alarms and text messaging hands-free. Robin can be useful and fun, she’ll constantly learn and adapt to you. She’ll even call you whatever names you want! Just tap the microphone button, and Robin will be all ears. Alternatively, you can “wave hello” twice in front of your device upper edge. Robin can crack jokes too just like Cortana and you can give her useful and understandable commands such as “Call Joe or text Jill”. Overall, Robin has depth and it’s your best personal assistant app for Android. 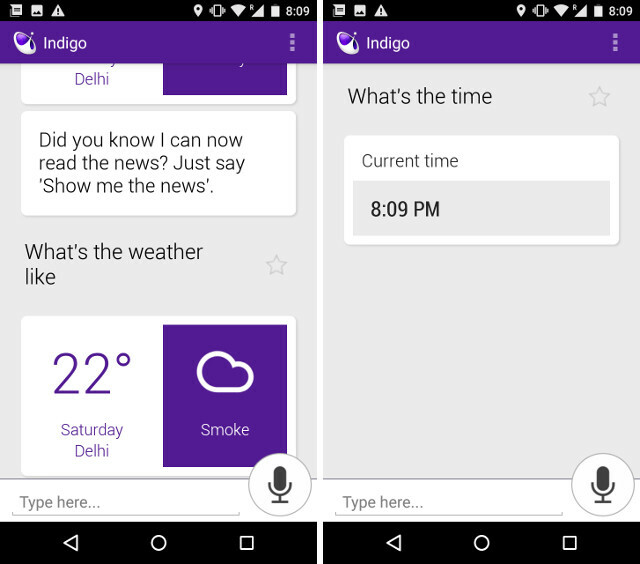 Indigo is another personal assistant app for your Android phone, She adds fun to your daily tasks and activities. Just talk to her as if you’re talking to a human and Indigo will understand. She might even go further to give her personal opinion on matters at hand. Indigo just like robin is a voice assistant who tells jokes, reads headlines, controls your music, manages your calendar, creates reminders, find restaurant, translates, gives directions, set alarm and much more. You can open Indigo from the home button, make calls and find contact details. With indigo, you can also play videos or search for images. Indigo can even save common tasks as favorites so you can quickly access them, she can as well search Google, Bing and Yahoo for informations & you’ll receive an accurate answer to your question. All this can be done with just your voice. Personal Assistant apps has been with us for long, and it’s seems they’re starting to have breath and depth. This probably was a courtesy from Apple’s Siri, Google Assistant and Microsoft’s Cortana. Now you can have your personal assistant app on your Android device as they can help to perform or carry-out different tasks without complaint. Overall, personal assistant apps for Android device save’s a lot of time.